"Your unfair advantage, for the stress-free sale you deserve!" 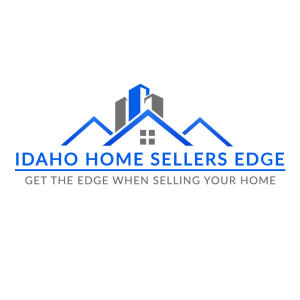 Are you thinking of selling your Idaho home? What’s your biggest fear when you list your home with a real estate agent? It’s simple: You worry about being locked into a lengthy listing agreement with a less than competent real estate agent, costing your home valuable time and exposure on the market. Well, worry no more. Corey Chase with Idaho Home Sellers Edge takes the risk and fear out of listing your home with a real estate agent. How? Through our EASY EXIT Listing Agreement. When you list your home through Corey Chase EASY EXIT Listing Agreement you can cancel your listing with them at any time. No hassles. It’s easy. You can cancel your listing at any time. You can relax, knowing that you won’t be locked into a lengthy contract. You can enjoy the caliber of service confident enough to make this offer. Corey Chase has strong opinions about real estate service. He believes that if you are unhappy with the service you receive, you should have the power to fire your agent. It takes a strong belief in the quality of one’s service to make this kind of stand, but he believes you never settle for less than the highest professional standards from himself or his staff. He is confident you will be happy with the service and results provided. That’s the simple truth. Corey Chase always stand by his service. To find out more about Corey Chases’ unique and effective marketing campaign call today at (208) 919-3248 to find out more about how Corey Chases’ experience can make all the difference in selling your home. We look forward to hearing from you.